Things spiral out of control when Sheldon boycotts his favorite bread company. Also, Georgie offers Veronica a shoulder to cry on when she's dumped by her boyfriend. Sheldon and Dr. Sturgis have their first fight when Dr. Sturgis marks a question wrong on Sheldon's test. Also, Mary takes over for Pastor Jeff when he's out sick. 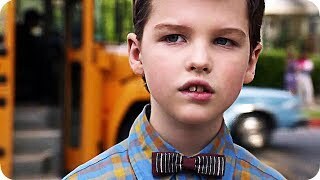 Currently you are able to watch "Young Sheldon" streaming on All 4 or buy it as download on Apple iTunes, Amazon Video, Microsoft Store, Talk Talk TV, Google Play Movies.